Blend: 4.25 oz. 65% Polyester / 35% Cotton. Closure: Concealed, no-scratch. snap front closure. Collar: Racer collar provides an updated modern look. 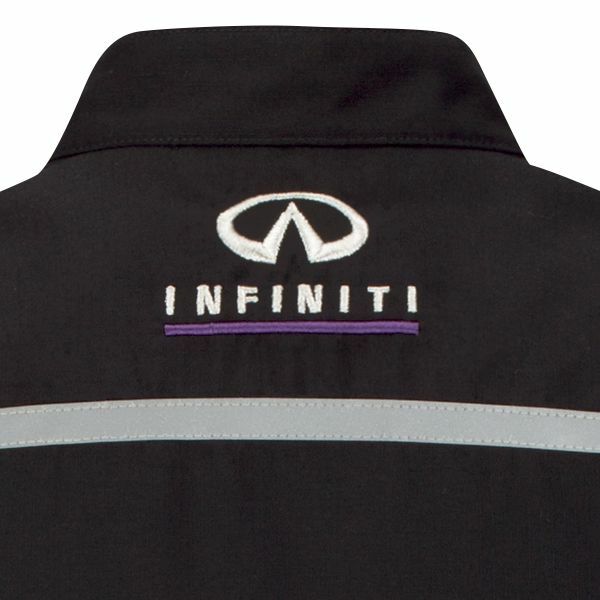 Logos: Infiniti logo on the back yoke. 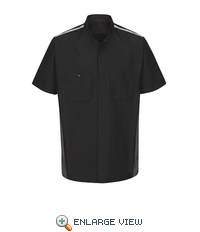 * Has reflective striping on shoulders and back for improved visibility. 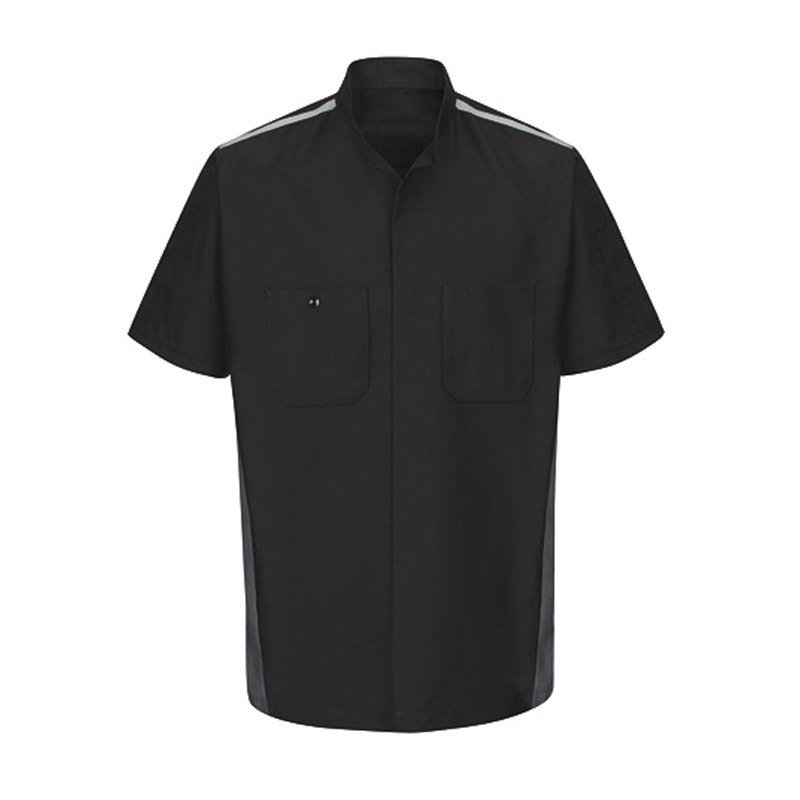 * Two corner-less hex pockets on the chest, the left includes a pencil pocket. * A sleeve utility pocket on the right sleeve.